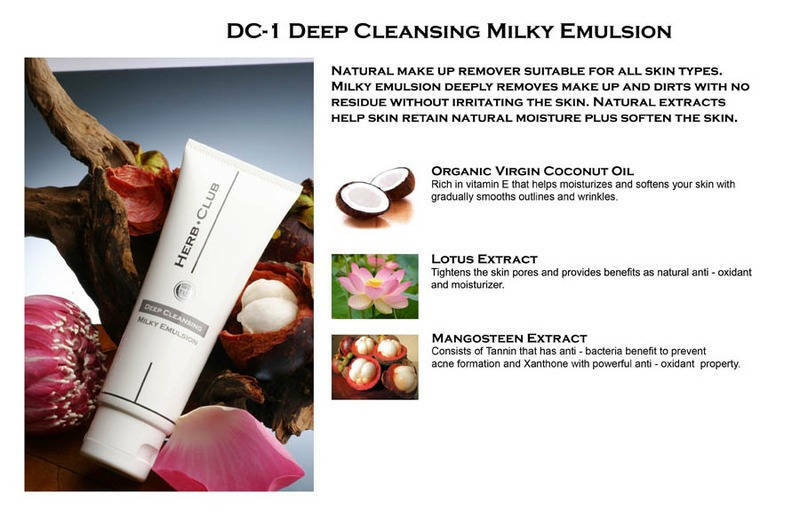 PRODUCT Deep Cleansing Milky Emulsion : เอช.ซี. 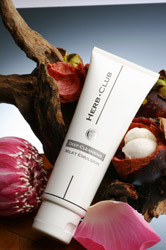 เฮิร์บคลับ (ไทยเลนด์) จำกัด | H.C. HERBCLUB (THAILAND) CO.,LTD. Natural make up remover suitable for all skin types.Milky emulsion deeply removes make up and dirts with no residue without irritating the skin. 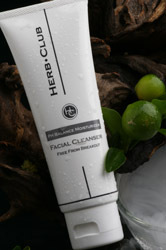 Natural extracts help skin retain natural moisture plus soften the skin. 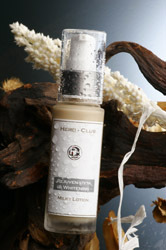 Rich in vitamin E that helps moisturizes and softens your skin with gradually smooths outlines and wrinkles. Consists of Tannin that has anti - bacteria benefit to prevent acne formation and Xanthone with powerful anti - oxidant property.